“What is an “eight-martini” result? Well, this is an intelligence community in-house term for remote viewing data so good that it cracks everyone’s realities. So they have to go out and drink eight martinis to recover”. 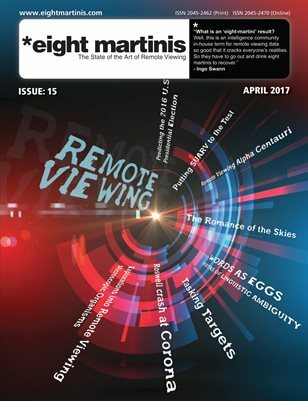 Eight martinis is a remote viewing magazine dedicated to the pursuit and the application of the art of Remote Viewing. Each Issue we present Remote Viewing sessions & examples, projects, news and theories from some of the leading Remote Viewing practitioners and thinkers. The magazine currently comes in two formats; a pdf/ebook download and as a Full colour printed and delivered to your door – magazine. We are currently on Issue15 of the magazine. Eight martinis recently applied for and received an ISSN. (International Standard Serial Number). The ISSN is the standardized international code which allows the identification of any serial publication, including electronic serials, independently of its country of publication, of its language or alphabet, of its frequency, or medium. 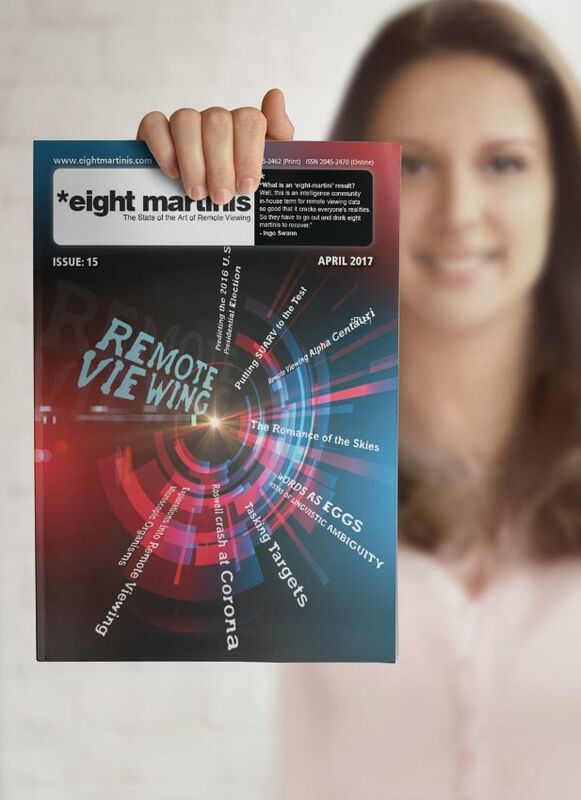 Click here to view all the available issues of eight martinis – remote viewing magazine.